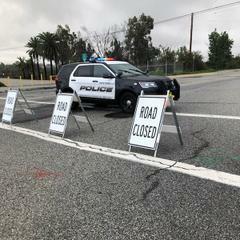 ROAD CLOSURE: Lincoln Ave closed between Avenida De La Merced and San Gabriel Blvd due to flooding. Lincoln Ave closed between Avenida De La Merced and San Gabriel Blvd due to flooding. Message will be sent out when the road is repopened. Questions, call the Montebello PD at (323) 887-1313.